Time to cancel your gym membership and skip the lift lines! 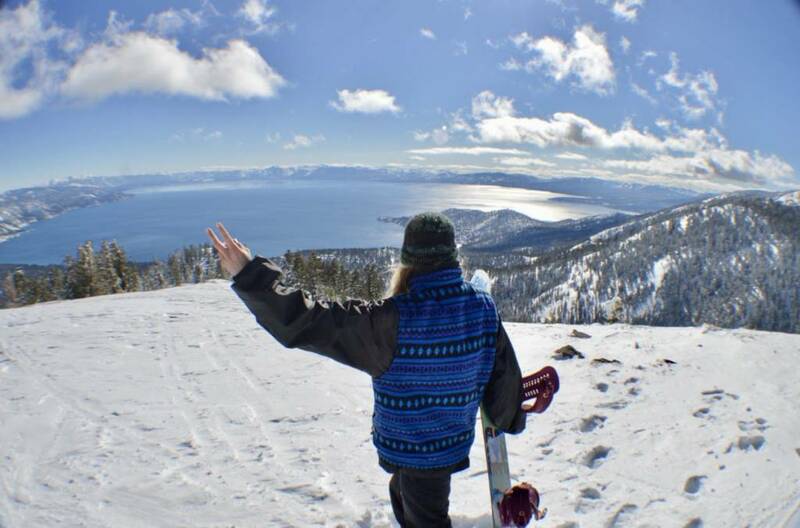 A record amount of snowfall hit Lake Tahoe in January, giving it the nickname “Januburied”. The months following have not disappointed either. This has blessed the locals with plenty of reasons to hike your local peaks. With natural stair masters and beautiful views just outside your back door, Tahoe has unlimited possibilities for your everyday adventure seeker. A record amount of snowfall hit Lake Tahoe in​ ​January, giving it the nickname “Januburied”. The months following have not disappointed either. This has blessed the locals with plenty of reasons to hike your local peaks. With natural stair masters and beautiful views just outside your back door, Tahoe has unlimited possibilities for your everyday adventure seeker. For those of you who decided not to purchase a season pass, you're in luck! Thanks to all the snow accumulation and bluebird days to follow, your sure to get some great turns anywhere you go! Whether you’re hiking to the top of the mountain behind your neighborhood, or building a street spot with your friends, it’s important to get outside and finally do all the things you’ve been dreaming of. When I moved to Tahoe four years ago, my days were filled with sunny park laps and afternoons laying by the lake. Being from San Diego, there’s no reason to complain about sunshine but I could see the potential this place had covered in snow. It's a great feeling to fulfill your dreams of snowboarding right outside your door and to know California won't be struggling from another drought this Summer. The last big storm we had, a group of girls and I searched relentlessly for a local rail or wall ride to session. Luckily, we found both! The first rail we hit was located in Truckee at Alder Creek Middle School. We spent a good amount of time on a few unsuccessful attempts. We heard of a wall ride under the bridge in Glenshire so we went to find it. Sadly, there wasn’t enough snow under the bridge to make the wall ride. Once again, Tahoe produced some amazing snow overnight making the feature a success the next day. I showed up after work to six local shredder girls seshing it. After a long day of filming, hiking and shoveling, we were happy to say we did all we could there! Its pretty empowering to know you have a female support group that are always looking to get outside and snowboard! Mother Nature rules all, and it’s important to give the utmost respect to the mountains, forests, lakes and oceans. You should always hike and ski with a buddy. Be prepared to carry a beacon, probe and shovel when hiking backcountry locations and stay updated on avalanche safety. Don’t forget to earn your turns and smile while doing it!